Here is a brand new track from the Port Harcourt based producer known as Dr. Roy. The track is titled ‘Even If’ and is a song that changes the way music sounds around in your ear. 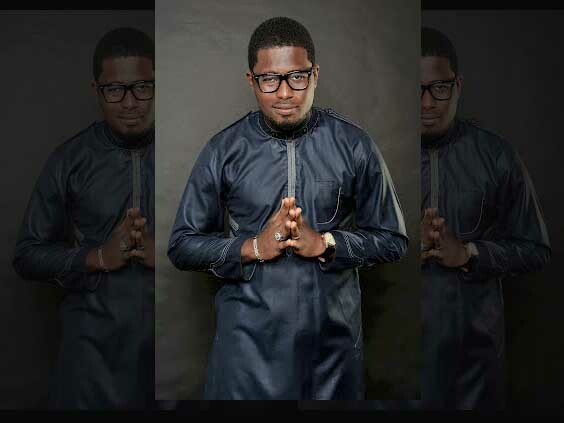 Its worthy to note that Dr Roy is a producer whose production has been voiced on by the likes of Mark-T with Frank Edwards, Jesus boy, Kelly Hansome, Mercy Chinwo of Nigeria Idol, Raphael Koko, Samuel Dixon, Dede of Project Fame, Princewill a.k.a Minnas, The Combophonist, etc. Today, he steps up to the mic to release this very song produced and voiced on by himself. The track is a spin off from his oncoming debut collection and puts you on a laid back mode as he gives his testimony of God always seeing him through the valleys of life. He also encourages you with lines you cant help but nod to. It is a therapy to calm your frayed nerves whenever you go through the ups and downs of life. Just get a good earpiece or headphone, download, lay back and listen to this one. Following the success of the Valentine day release of the audio of PAT UWAJE-KING’s sophomore single, HE’S DONE ME WELL, the Princess of Praise has yet again proved why she remains a force to be reckoned with in Nigeria’s gospel music scene. This much anticipated video was directed by OJIS and is officially released today, March 26, 2014 to mark Pat’s birthday. HE’S DONE ME WELL has received rave reviews since its audio release in February, and is gradually becoming a praise anthem on the lips of lovers of good music. “This song is my testimony of faith and what better day to share the visual with the world than on my birthday. I hope you will all enjoy watching it as much as I do, and I pray that as you sing and believe every word of its lyrics, God will indeed do you well” says Pat. Please join us to celebrate this praise machine, and an anointed woman of worship as you download and watch! Lyrical, authentic, and metaphorical, all intertwined into one person. With a hopeful message mixed with dope rhymes and beats, KJ Golden, makes music that’s very relevant and reaches across the spectrum of various ages and cultures. It is quite evident that KJ Golden is not your typical emcee. Besides the fact that she is a female and has over a decade years of experience, she brings a very different approach to hip-hop. “I believe music should bring about some type of emotion to its listener. I don’t want to just get my fans hype, I want to tell them a story,” laughed KJ. The Lord has blessed her to not only be known in her hometown of Little Rock, Ar., but all over the World. She has opened up and has shared the stage with artist such as Canton Jones, Vickie Winans, and Lecrae. When KJ is not on the stage, you can find her giving back to the community, finding a mission trip to go on for the summer, or sipping an iced pumpkin latte at Starbucks. Hopefully you can see; KJ Golden is the total package. Don’t let the short height or the fact that she is a female, fool you. KJ is the truth and she will definitely bring it. Female Gospel artist Funmi Stenz has released the video for the hit song “Ololufe”. The single is a song that talk about the Love of Christ ans how his love has saved us through life. On August 2nd, 2011, HolyCulture.net released the first DROP CD project. The DROP CD received a warm welcome and has since been distributed both physically and digitally over 12,500 times across the world. Now on its sophomore album, Holy Culture presents a similar album, but it will include a more intentional storyline with some of today’s most talented artists. The new project will also include a Biblical curriculum which mirrors the album and other resources such as music videos, devotionals and more. These resources are an excellent way for Churches to provide Biblical truths in a real and relevant way. To provide a free strategic hip-hop compilation album, to at least 10,000 individuals, that presents a Biblical account of the story of God and how we fit into His plan. To use the album as an evangelistic outreach tool, available in both physical and digital formats, for individuals, Churches and Christian organizations alike to use in ministry. To go beyond the project by organizing community outreaches in order to love God and love our neighbor by being Jesus’ hands and feet. This project will initially be distributed in five US cities (Dallas, Chicago, New York, Tampa and Portland), each city will receive up to 2,000 CDs for distribution through community outreach events. To provide a Biblical curriculum that works in concert with the album in order to foster deeper spiritual growth and knowledge. On this project you’ll find brand new music from artists like Levi the Poet, The Ambassador, Social Club, Sean Slaughter, and more. Stay current on all our DROP Project tracks athttps://soundcloud.com/holyculture/. Donate to the campaign via PayPal at Trig@holyculture.net. Today, another gospel voice takes a stand for Christ and joins the ranks of gospellers like Frank Edwards, Tim Godfrey, Eben, Chris Shalom, Nathaniel Bassey etc to profess his stance in Christ. His name is SupaNath and he is a gospel artiste and a music producer with a divine calling to impact life through music. He has decided (by God’s grace) to enter the big scene and is currently out with 2 singles, these include; Onyedimma – written with the inspiration to contemplatively praise God in dynamic languages – Produced by “Mic on” and featured “Same” (twins blessed with unique vocals). Jehovah Repete is a song that speaks to you even while you dance to its Fuji feel – Produced by and features “SOJEGGS”. GOD has taken the pain ”AWAY” . . .
It’s Rocktown in the building. Nigerian Gospel Music Maestro, Frank Edwards rounds up some of his ROCKTOWN acts for this jamming tune. The supporting acts, Gil, Soltune & Viktor Ike all spiced up the song with their different styles of music. The Frank Edwards produced beat is unlike what we have heard on any Gospel tune. It would get anyone up on their feet and boogie down as they praise the Lord. Enjoy and do share to a friend or family. SOUL E Turns Prophet, Sees Davido In Fatal Accident, Wizkid Poisoned, and Aso Rock on fire! It’s a season of visions really in African entertainment. Just when we are still getting over the shock vision of a Ghanian prophet on Yvonne Nelson, Nadia Buhari and a host others, our very own Nigerian prophet rises to declare impending doom on Nigerian entertainers.